In the wake of the terrible tragedy that has befallen our neighbours as a result of the passage of Hurricane Irma, Prime Minister Roosevelt Skerrit has sought to present himself as some sort of benefactor, promising millions of dollars to go towards relief in a number of islands. 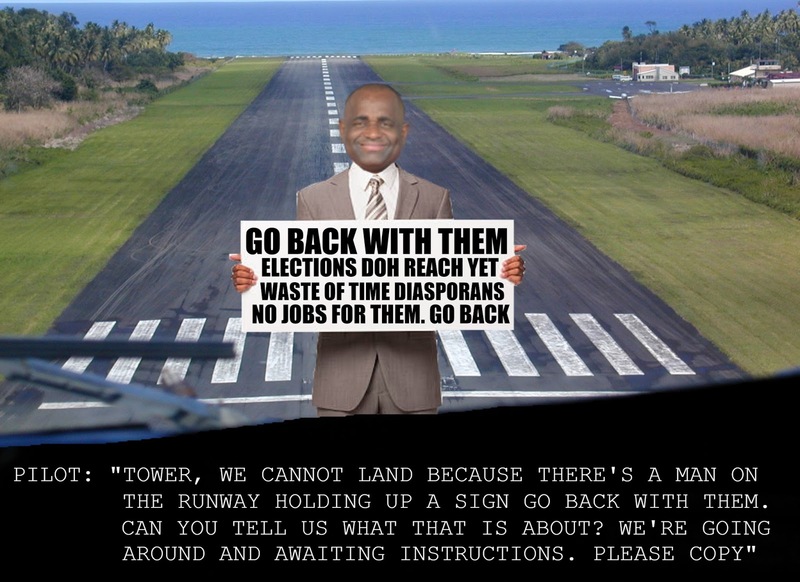 While we commend his efforts at assisting our neighbours, Mr. Skerrit, however, will be known for something dastardly. Mr. Skerrit could have taken this opportunity to extend a welcoming hand to our nationals in these islands, many of whom have been wiped out of their possessions, and encouraged them to return home to assist in the development of our country. Mr. Skerrit has lost sight of the fact that the primary reason our brothers and sisters migrated was in search of employment. Undoubtedly, a number of them will be both homeless and unemployed as a result of this catastrophe. Also true is that they maintain close ties with family members back home. Therefore, why not offer our brothers and sisters safe passage and comfort back home as well as employment? They're needed to build Dominica. What we have instead is that Mr. Skerrit declaring to our skilled family members overseas to refrain from coming back to Dominica, and stay in the disaster zone to assist these countries redevelop themselves. In unequivocal terms, Mr. Skerrit has told Dominicans who (in their need to escape the effects of the disaster Hurricane Irma has wrought on their adopted countries) may be inclined to return home to Dominica in order to reset their lives, that they should not set foot in Dominica. That is an incredible pronouncement from the leader of this country, from any country for that matter. Isn't Dominica in need of development also? Can't we utilize the skills and know-how of our brothers and sisters in our development? Our nationals are left with nothing but the clothes on their backs; why not bring them home to be with family and at the same time, provide employment for them. As recently as 2014 Mr. Skerrit was buying the votes of many of the same Dominicans who he's rejecting now. We're to wonder; how do they feel now that they're facing a life or death moment, Mr. Skerrit has held up his notorious "waste of time diasporans" sign in their faces? .